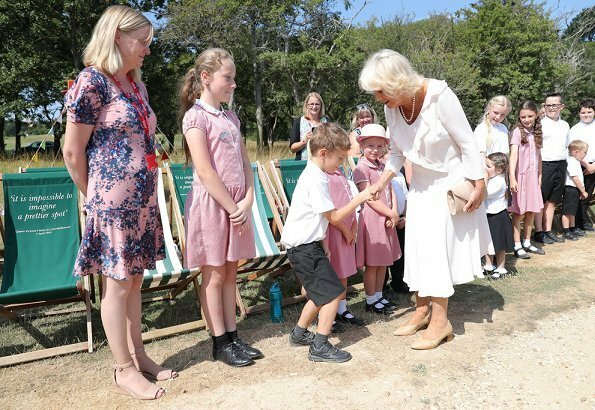 Camilla, Duchess of Cornwall visited Isle of Wight for a number of engagements, including naming Red Funnel’s new Red Jet 7. 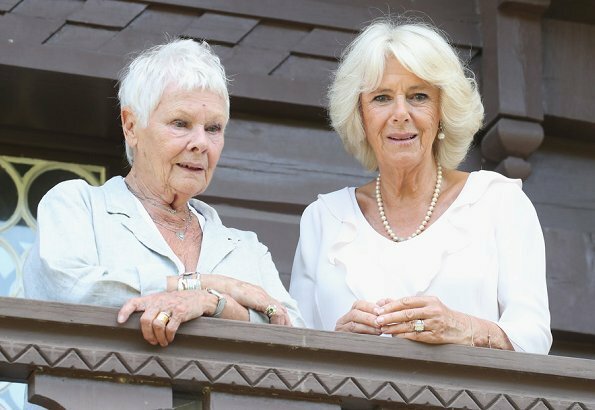 The Duchess was welcomed by Dame Judi Dench – the patron of the Friends of Osborne and curator of Osborne House. 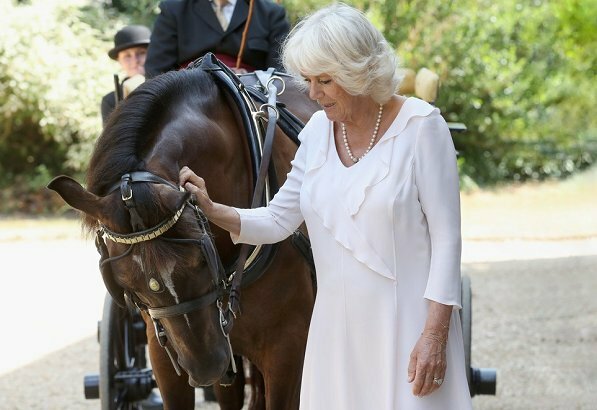 The Duchess will end her visit by meeting members of staff, volunteers and representatives of the Osborne Horse Trials, which opens to the public tomorrow. 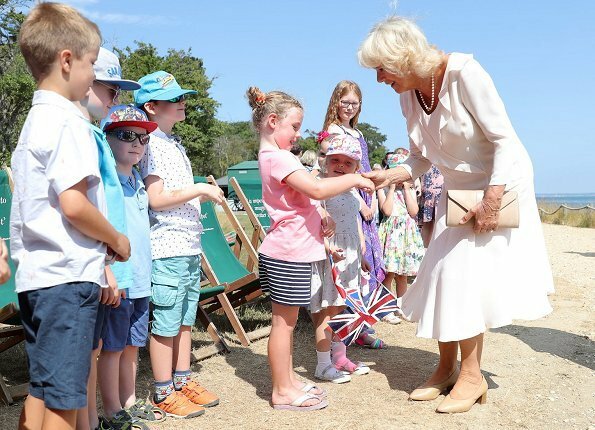 The Duchess will also visit Cowes town centre where she will name Red Funnel’s new £7 million vessel. A nice summery outfit for a summer's day. Love the ice cream picture. The picture with the ice cream is too cute. Both ladies look wonderful. I like her summery outfit. 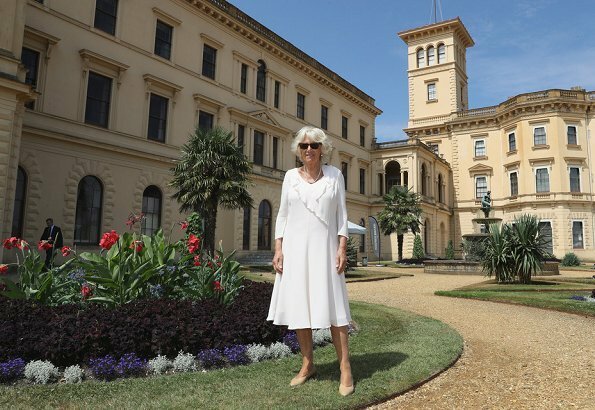 The Duchess of Cornwall looks fabulous ! 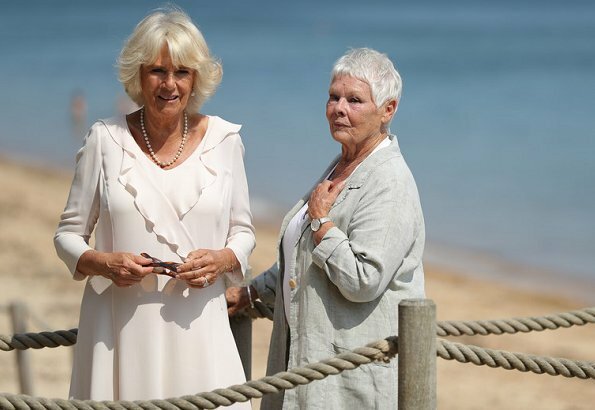 What a nice white dress, Camilla looks wonderful as usual. 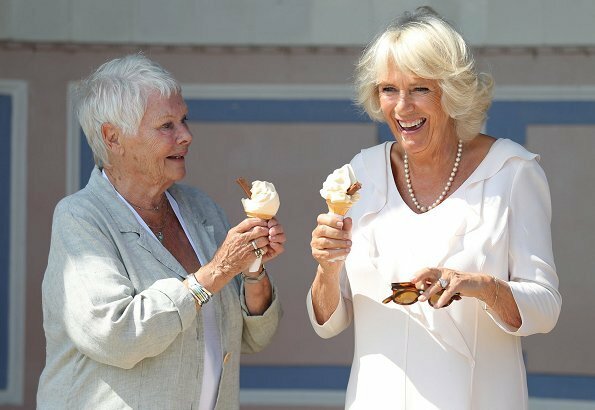 Like the photo of Camilla and Dame Judy Dench eating ice cream. Well it is summer. 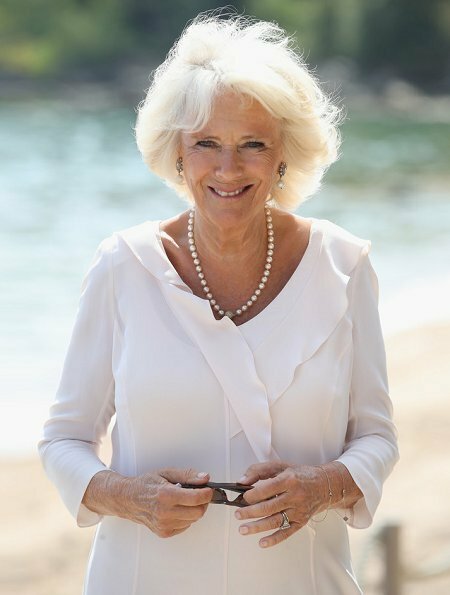 It looks as Camilla has got a whole summer collection almost made in the same shape with different details ……all dresses very suitable, she looks alsolutely amazing this summer!! I agree. 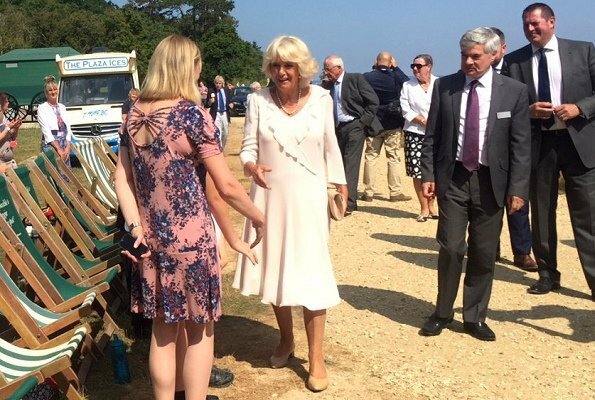 Duchess Camilla is elegant and charming as always. A lovely white dress. Agree! I want to know her designer’s name. Camilla will be an awesome queen. Duchess Camilla and Mette Maritt have the same colours. My favourite actress on this blog - how nice. I love her haircut and the colours of her outfit & her cheeky smile. The Duchess of C. looks good too. 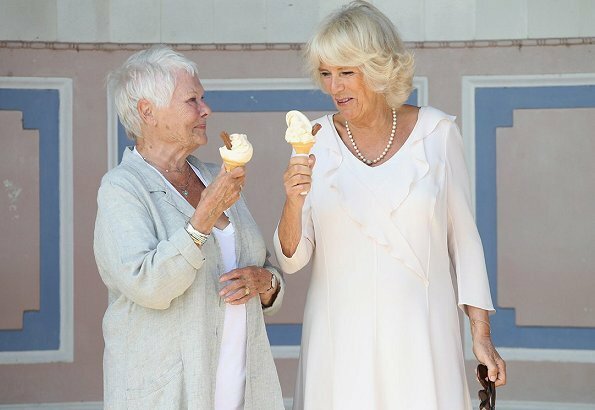 I hope, they have had a marvellous day together on the Isle of Wight!